The New High Protein Diet is packed with hundreds of delicious, easy-to-prepare recipes and is for anyone who loves good food, but craves a slimmer waistline! Professor Charles Clark is an internationally-recognised specialist in diabetes and glaucoma. After qualifying from the University of Edinburgh in 1980 and completing postgraduate training at Moorfields Eye Hospital in London, he was appointed the youngest Consultant Surgeon in the United Kingdom in 1988. Subsequently he held Consultant Surgical posts in the United Kingdom and Australia. An outstanding academic record includes the unique achievement of Doctorates in Science, Medicine and Surgery and Fellowships from Europe, Australasia and the United States. With a Masters Degree in Law, he is also one of the few individuals to hold higher degrees in both Medicine and Law. Over recent years, his research has focussed on the role of diet and lifestyle in the prevention of diabetes, heart disease, lowering of cholesterol and weight loss. 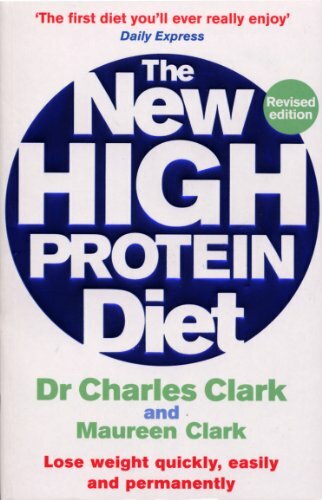 In this context, Charles with his wife Maureen have published seven best-selling books on diet and lifestyle since 2002, with a further 2 books to be published in 2008. Experience in both the public sector and the private sector in both the UK and Australasia has developed a unique approach to the delivery of efficient and cost-effective health care to diverse communities.